I recently stepped out to have lunch at Ruggles Black with my good friend, Kaylina, a wine rep. I arrived at the restaurant first! The blustery cold weather screamed hearty Cabernet!! First option was a little weak and insipid (but I won’t name names!). Second option appeared pricy, as I don’t normally plunk down $60 for lunch wine. But my tasting pour said “Yes!” Perfect for winter weather and NOT so big and over oaked to be…well, boring. 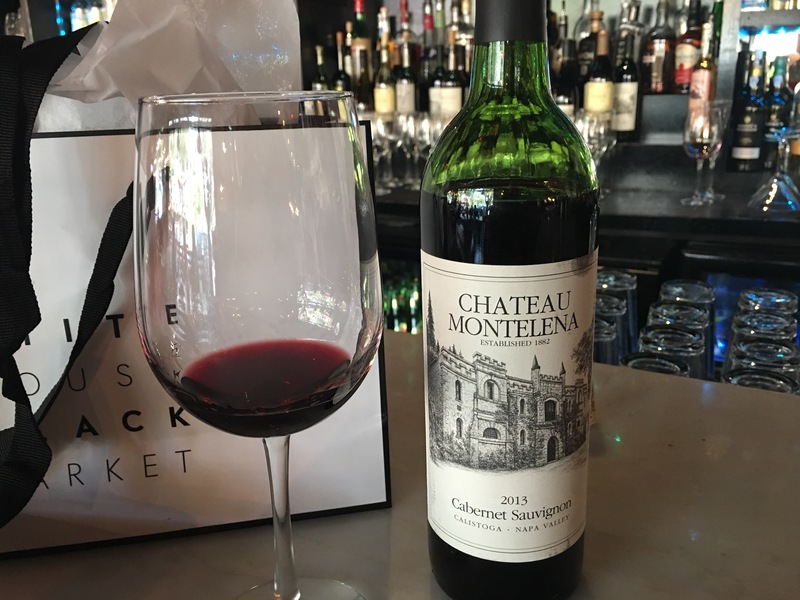 Chateau Montelena 2013 Cabernet Sauvignon from Calistoga was my choice to enjoy while waiting on my friend. I sent her a text to let her know what wine I had ordered for lunch. I think it may have hurried her along. Although this wine had a big blackberry presence, it had both sour and baked pie flavors. The sour acidity kept the oak in check and made every sip a pleasure. The wine was smooth without being flabby. I enjoyed teasing out notes of blueberry, vanilla, eucalyptus, licorice and tobacco. Perhaps because I had time to sit and relax, I found it to be a wine worthy of contemplation versus mindless consumption. It kept me in good company until my friend arrived to enjoy it with me. This solid performing wine can be picked up at your wine or liquor store for $40-50. So $60 out for lunch is still a bargain. One of my favorites. First love on my one and only Napa trip.